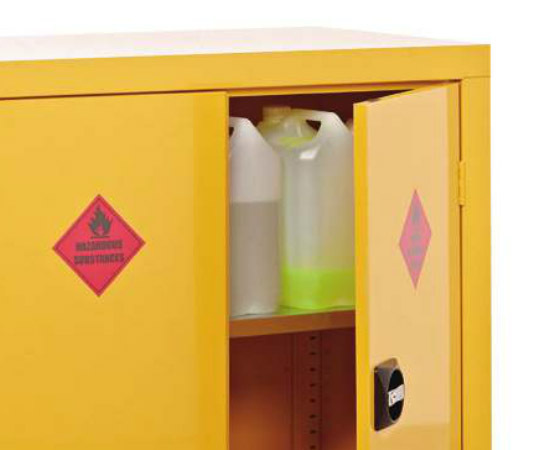 Keep your hazardous substances and harmful chemicals stored securely in the most convenient places with this mobile hazard cabinet. Made from the same high quality materials as our static hazardous cupboards but with the added benefit of being mobile on 4 castor wheels. 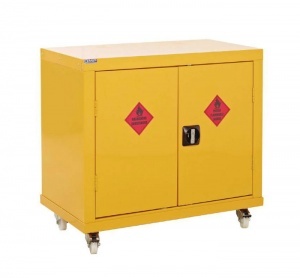 This mobility allows you to place the cabinet exactly where you need it during the working day and just as easily roll it into a controlled/secure location when no longer required.